What does adventure mean to you? Is it trying something new? Does it include getting your adrenaline going with an outdoor activity? 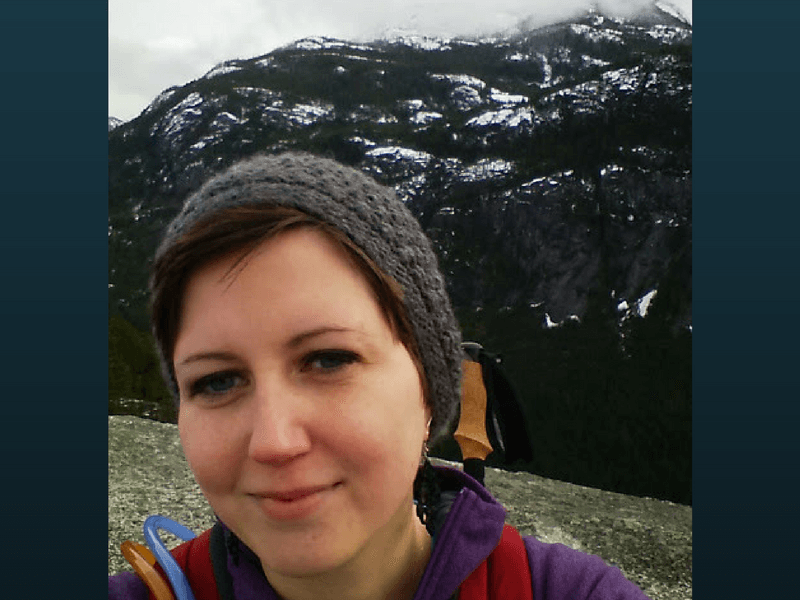 Your first solo hike? What about a big backpacking adventure? Or maybe it’s an experience that you’ve always dreamt of? There are so many definitions, and it varies from person to person. According to dictionary.com, adventure means: “an exciting or very unusual experience” or “participation in exciting undertakings or enterprises” (noun), as well as “to risk or hazard” or “to take the chance of; dare” (verb). 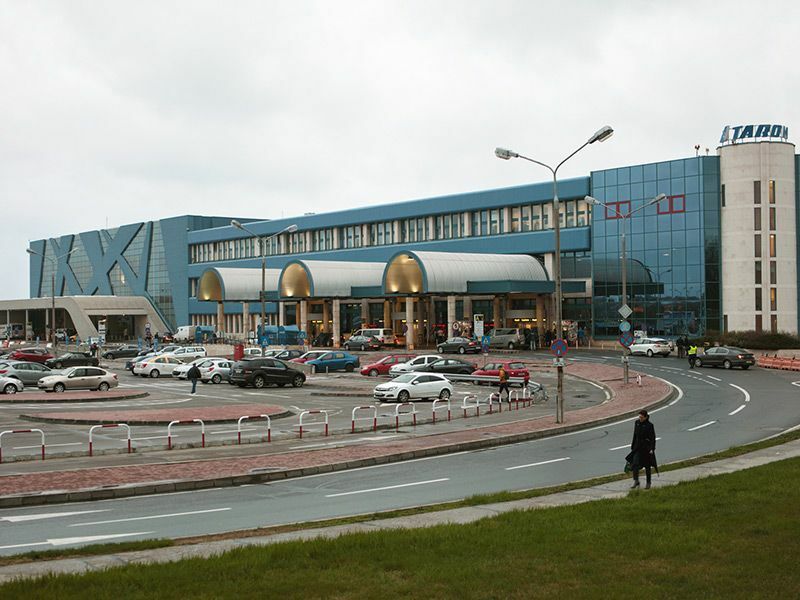 For us at TuGo, adventures are a huge component of travelling. Whether we’re reminiscing about an experience or planning our next big outing, we’re always excited to step out of our comfort zones with smiles on our faces. Read about our bloggers’ favourite adventures and comment below to tell us yours! And remember, don’t forget to pack your travel insurance for your next adventure! Adventure, to me, means trying something new – and that’s a major reason why I love travelling. 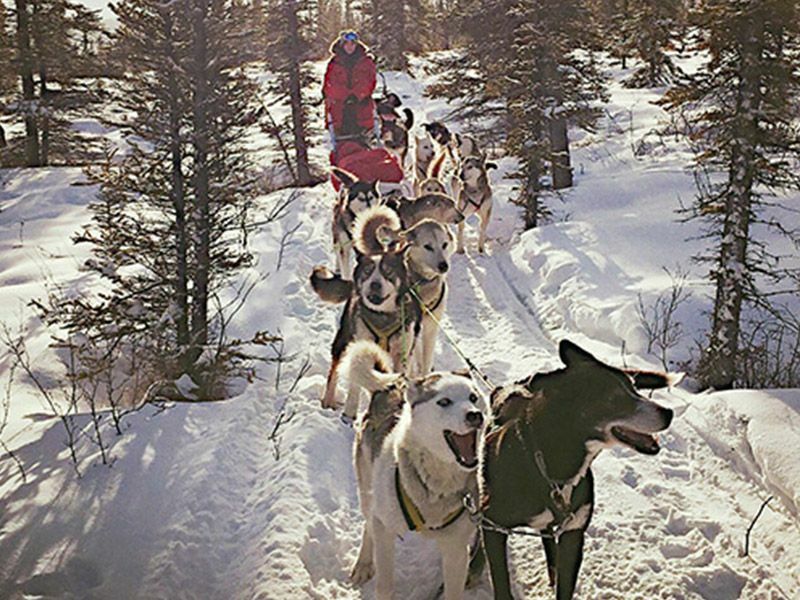 One adventure I’ll never forget was dog sledding in Whitehorse, Yukon, Canada. I love dogs and the snow, so it seemed like a perfect fit, but having never tried it before, I didn’t know what to expect. Would I be able to control the dogs? Would I hate the cold? 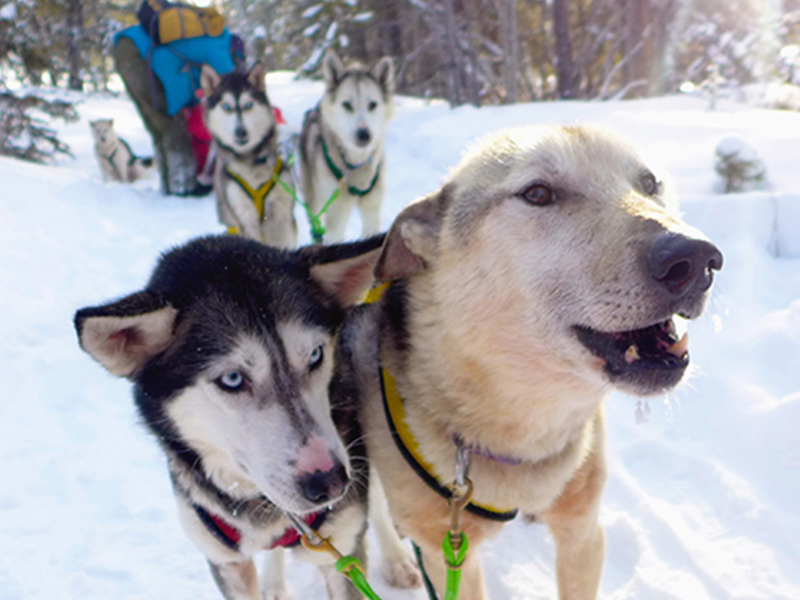 After a quick debriefing and only a few minutes on the sled, all of my fears disappeared. The dogs were incredible at their job, making me feel completely at ease during my two-day escapade with them. 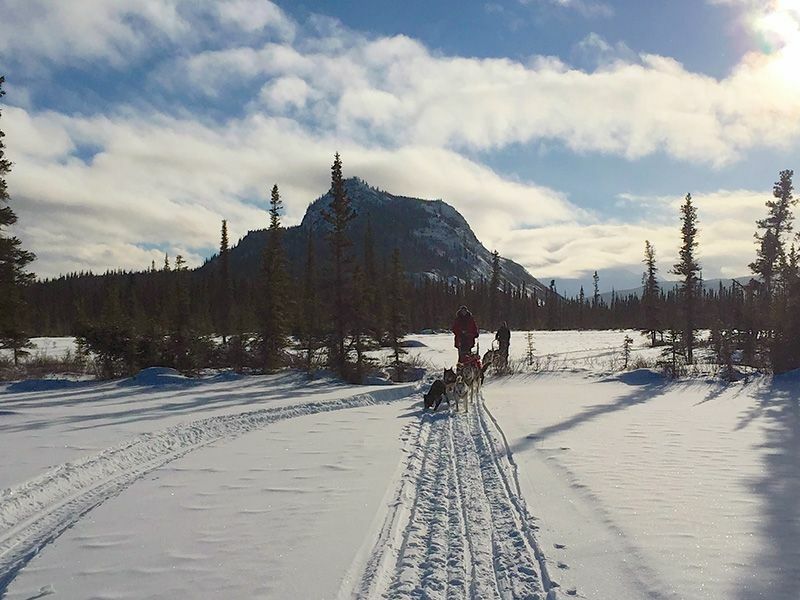 The breathtaking views and silence of nature made mushing very peaceful as well. As every second went by, I felt a sense of accomplishment by partaking in an activity so different than my normal life, especially one that was so fun! By the end of our trip, I discovered something new that I thoroughly enjoyed; a successful adventure in my opinion. Who knew dogsledding made me so happy. These views accompanied with the complete serenity of mushing was an unbelievable experience! Happy dogs leading one of the sleds. In my head, the word ‘adventure’ suggests the act of venturing into the unexpected or unknown with little reservation. I’ve been lucky enough to meander through labyrinthine streets of cities where I couldn’t understand signs or speak the language, discover places without paved roads or a map to guide me, and find myself standing next to natural landscapes that could easily make one feel small. But there are other kinds of adventures to be had, ones where all you can do is stand still and witness it happen to you or around you. These are the adventures in which I’ve found myself carrying not a backpack, but my own sense of wonder. 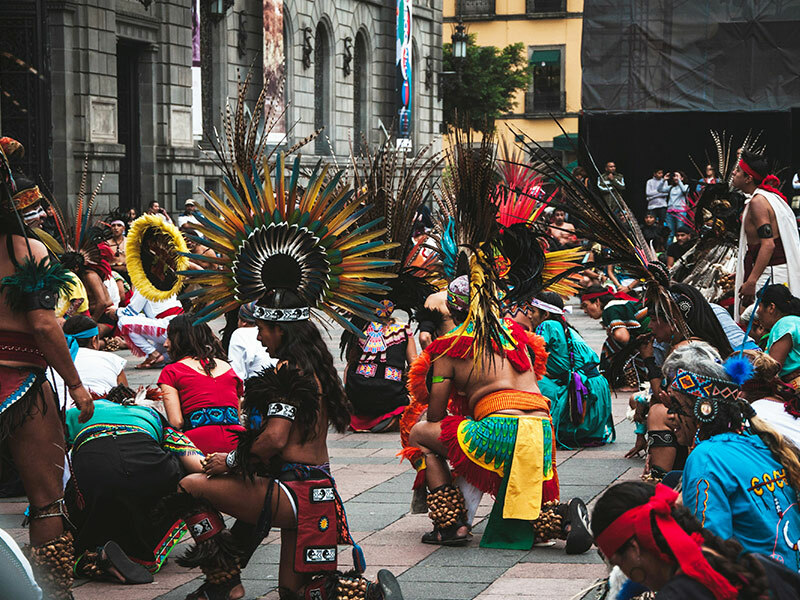 And that’s exactly what happened to me in Mexico City—where, by sheer luck one autumn afternoon in the Centro Histórico district, I heard the collective roar of drums, dance and dazzling ceremony nearby, and I decided to follow it. 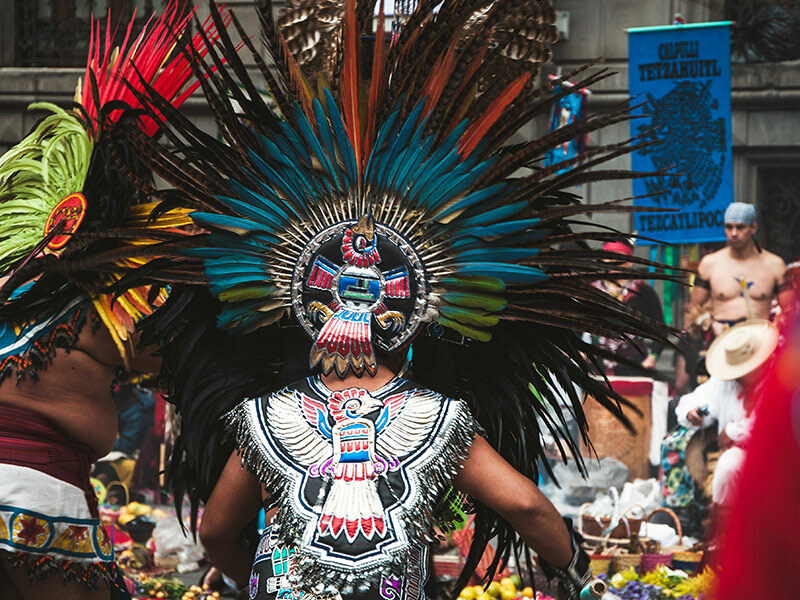 Over a hundred Aztec and other Mesoamerican descendants in traditional wear gather at a square. A ritual involving the burning of incense and chanting. 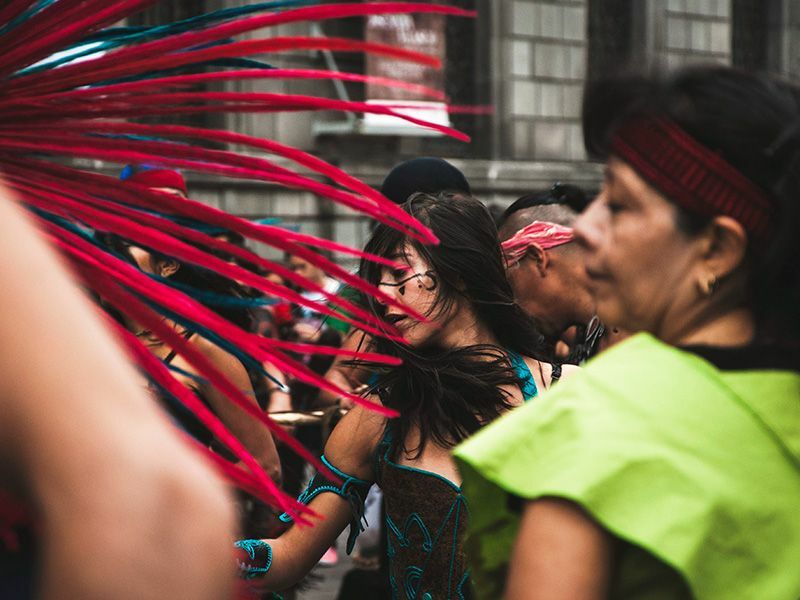 An Aztec girl dancing away. The ceremony draws to a close as the drumming and dancing die down and the people reflect on the afternoon’s events. Many of the adventures in my life have involved doing something that scares me. Most people probably think of daredevil adventures like skydiving and mountain climbing, but one of my greatest adventures helped me overcome a far less dramatic fear: crowds. In 2012, I took a spur of the moment trip to Coachella Valley Music Festival, just outside Palm Springs, California. I was so nervous during the flight down, worrying about the big, noisy, wild crowds I expected at the venue. But when we arrived to the festival grounds, I was so distracted by the incredible music and art that I completely forgot to feel overwhelmed! It was such an amazing adventure for me, not only because I experienced a ton of new music, but also because I overcame my lifelong fear. I’m so glad I didn’t let my fear hold me back from such a great opportunity. I made lifelong friends, listened to some great music, and opened myself up to a whole new kind of adventure! 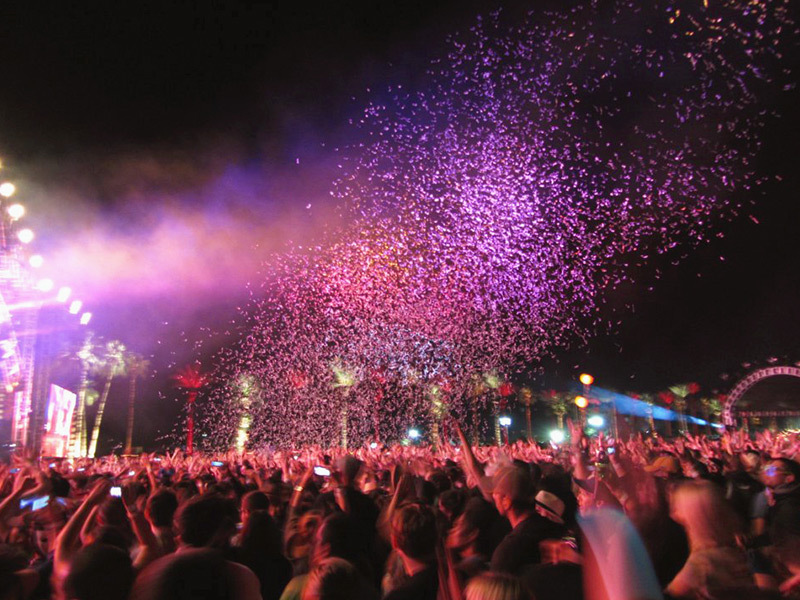 Confetti rains down on concert-goers. 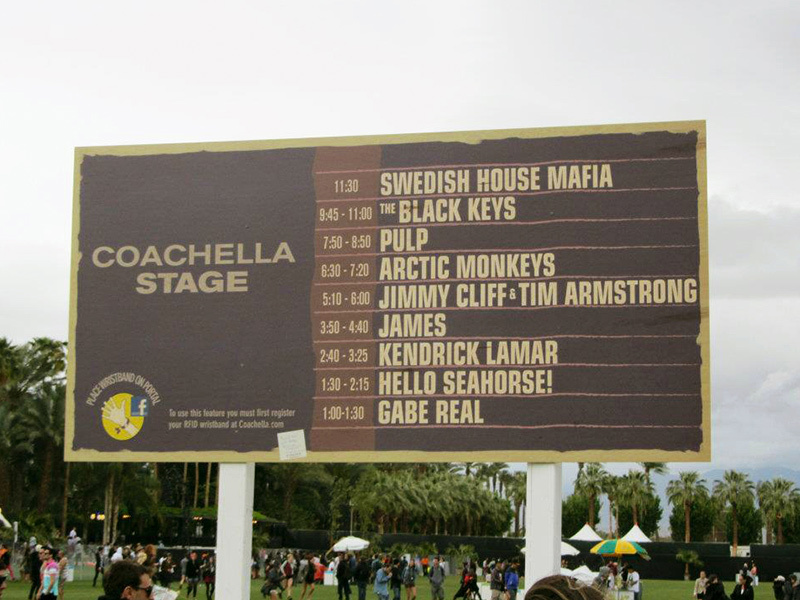 A sign announces the mainstage lineup for the day. 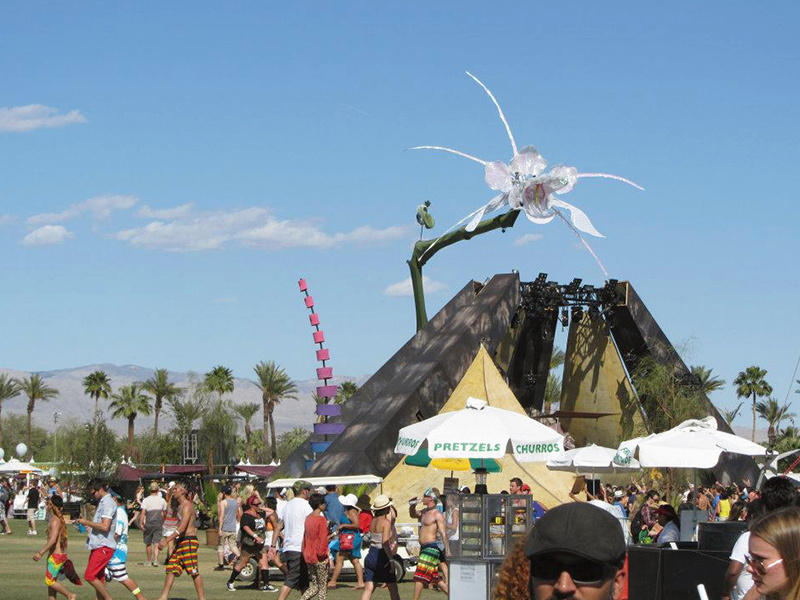 A giant flower hovers over the crowds, just one of the many art installations on the grounds. 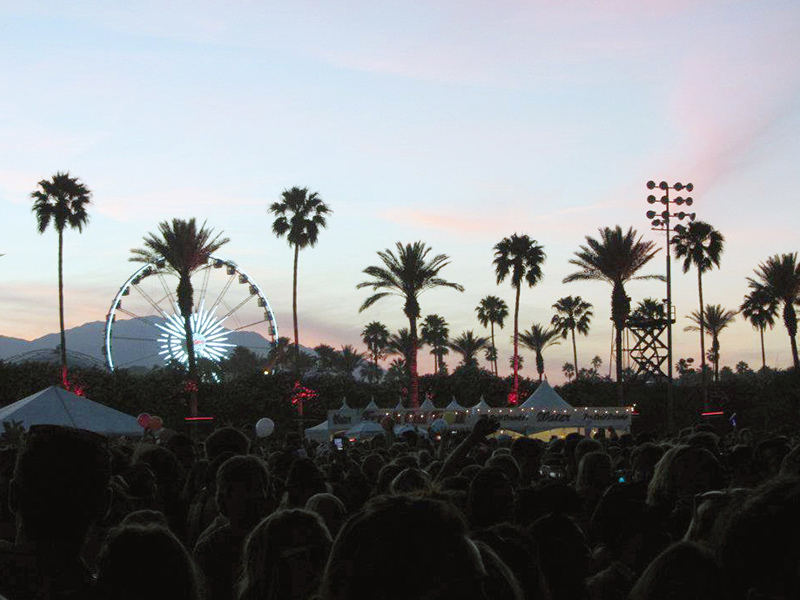 The sun sets over the crowd as they prepare to watch the next act. Adventure: something that I yearn to experience every time I explore a new destination. 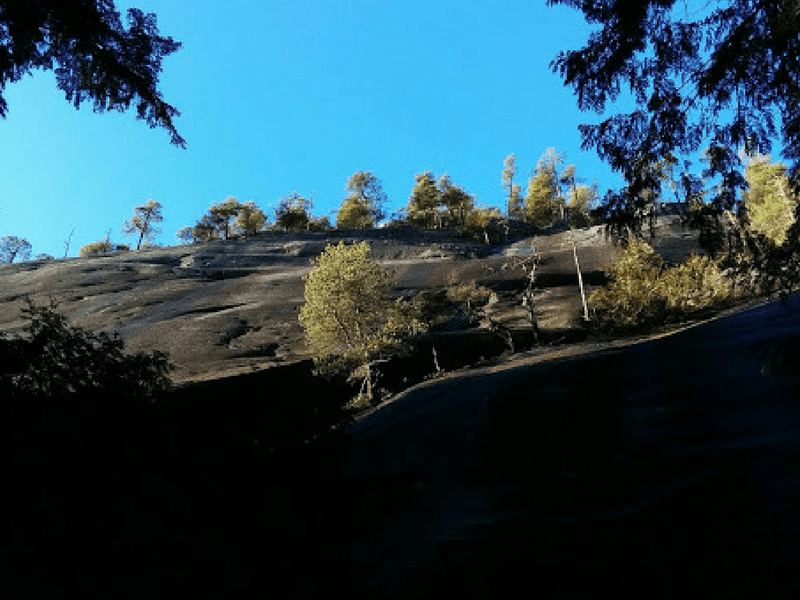 To me, it doesn’t necessarily mean hiking through trails or doing something active – it means pushing myself out of my comfort zone to do something I’ve never done, or experience something for the very first time. One of my fondest adventures was on the island of Kauai. We drove for what seemed like hours up a long, windy dirt road, higher and higher after every turn. And at the very top? 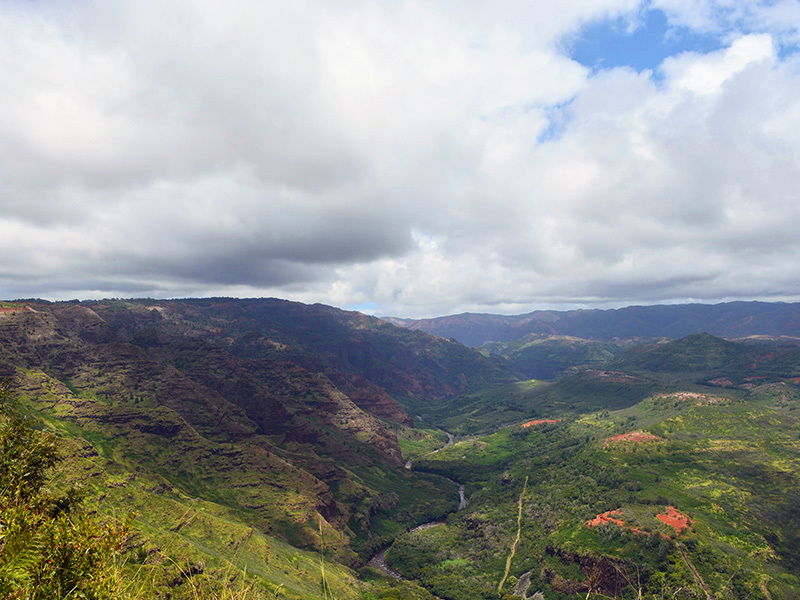 The most beautiful, lush canyon I’ve ever come across – Waimea Canyon. Known as the “Grand Canyon of the Pacific”, Waimea Canyon is 14 miles long and 3,000 feet deep. I was accompanied by great friends, and we couldn’t help but stare in awe at the beauty of the valleys and the bright green vegetation. None of us had ever come across such a rare, natural landmark, nestled in the heart of such a quiet island. It looked like a different world altogether, and I truly felt like I was in Land Before Time! The lush vegetation of Waimea Canyon in the “Garden Island” of Hawaii. 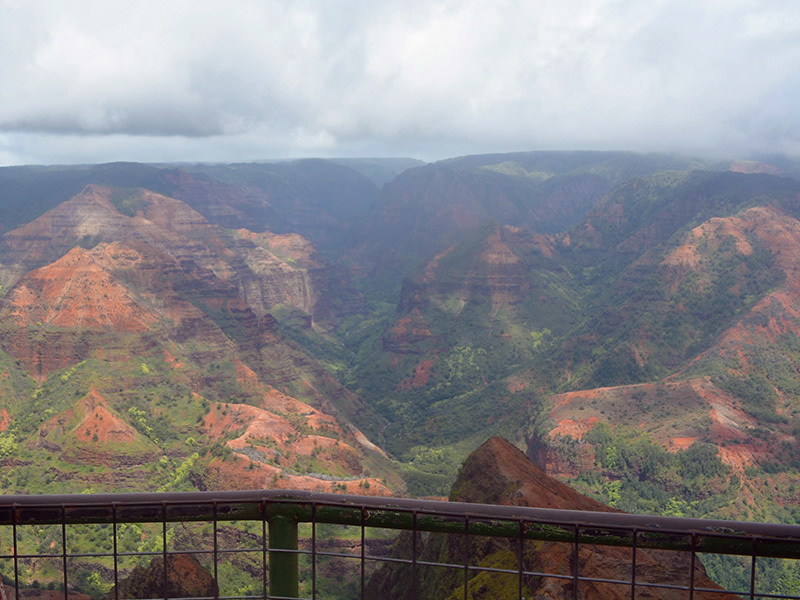 Everywhere you turn, Waimea Canyon offers a different view of its rolling hills and reddish tones. To me, adventure used to mean an act of daredevilry. 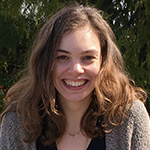 I loved to push my personal boundaries and would try anything that involved an element of risk. I took the ultimate leap of faith when I tried bungee jumping for the first time in Whistler, BC a few years ago. I would be lying if I said I wasn’t scared, especially when I saw the cold, gushing Cheakamus River almost 160ft below me. 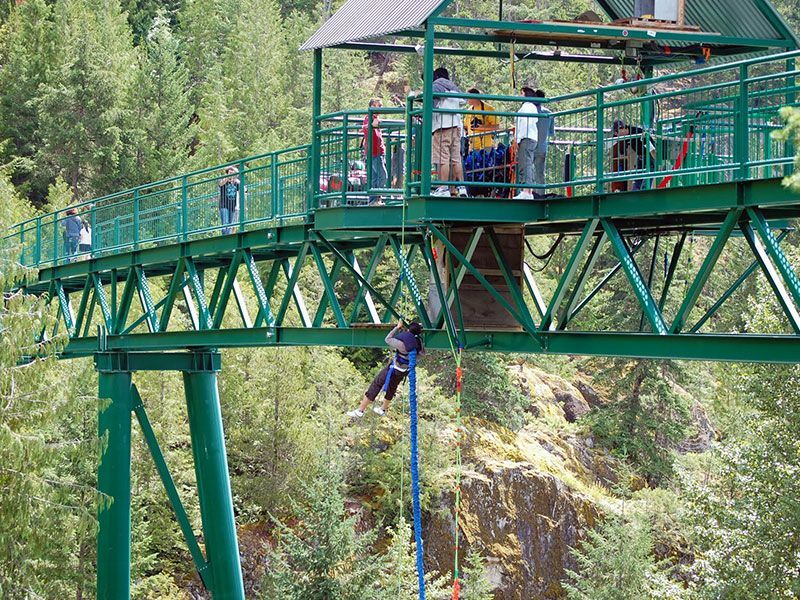 I remember my heart pounding as I listened to the instructions and felt the weight of the bungee. The jump felt like a slow motion video that lasted for 10 minutes, but in reality, it only lasted a few seconds! As I’ve grown older, my definition of adventure has evolved to mean having the confidence to experience the world with my son. I’ll never forget the thrill of going on our first road trip as a family through the Rocky Mountains, or swimming with sea turtles on our recent trip to Mexico. Adventure can mean so many things, and I recognize now that it can be whatever I want it to be! The rush of falling turns into joy and disbelief once you bounce back up. 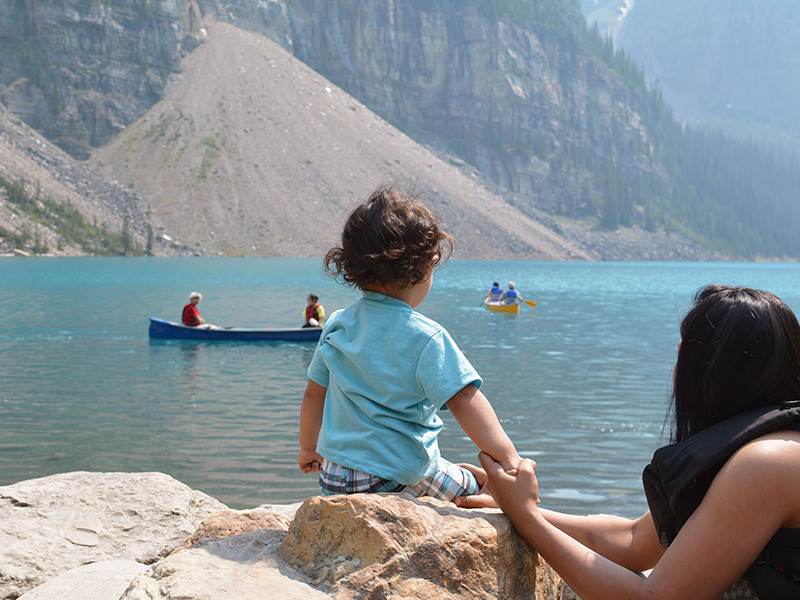 Surviving a road trip through the Canadian Rockies with a toddler can be an adventure in itself! 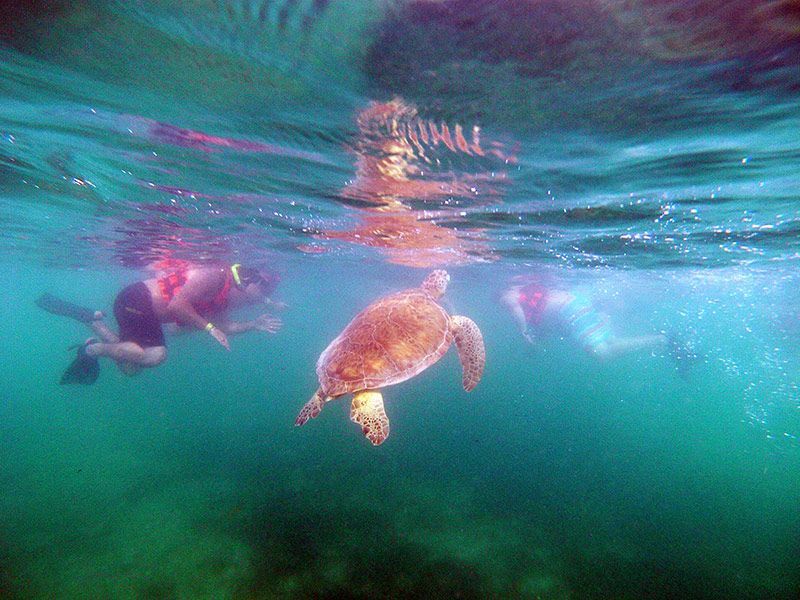 Crossing bucket list activities like swimming with sea turtles is even more fun when you can share the experience as a family. Adventure for me is the experience of feeling complete freedom and independence; a place that gives me comfort, yet takes me out of my comfort zone. For me, Santorini, Greece, was an island where I experienced exactly that. I rented an ATV, which allowed me to see the entire island on my own terms. It was exhilarating to ride with the wind on my back and sun on my face. The beaches were all completely different from one side of the island to the next, thanks to the volcanic activity surrounding it. Santorini is rich in colour: beaches of red soil and rock, white pumice, and black pebble; picturesque white-washed homes and buildings with vibrant blue accents; and crystal clear aquamarine waters. 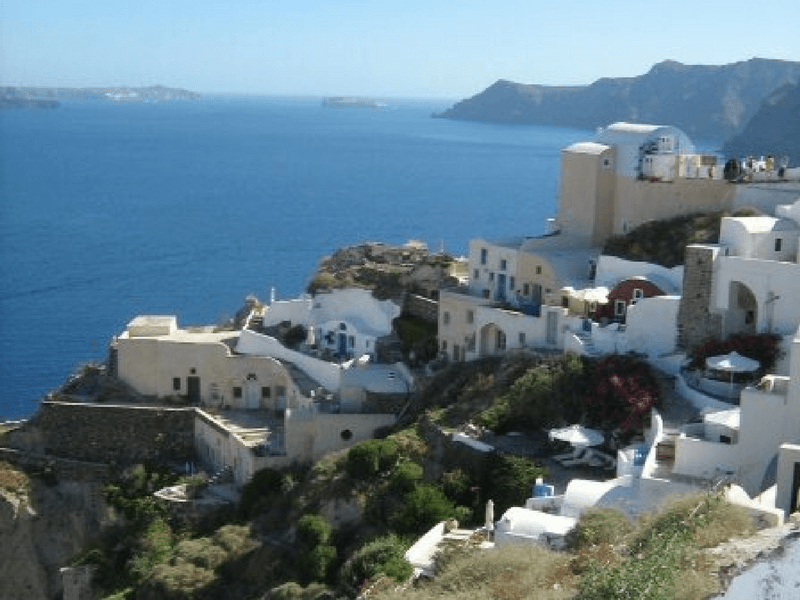 Santorini has it all, and then some! 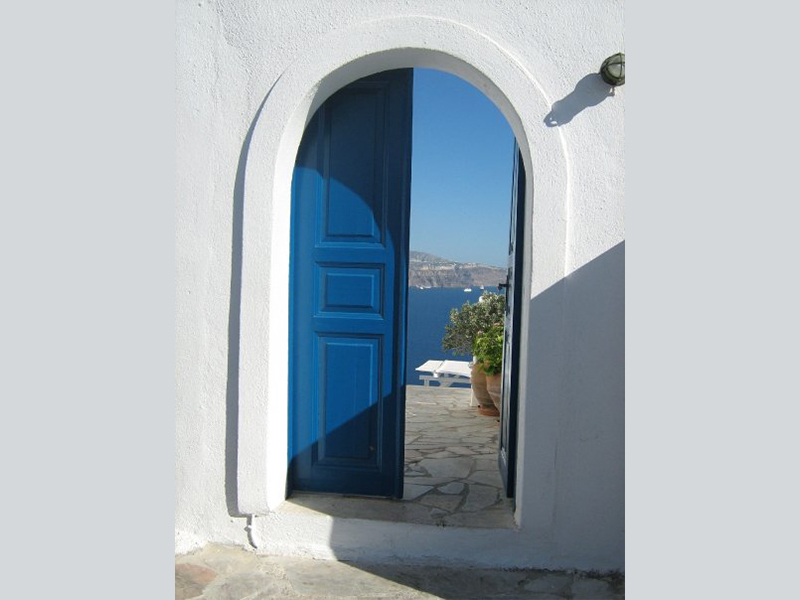 Blue doors warmly welcome you to the island of Santorini. 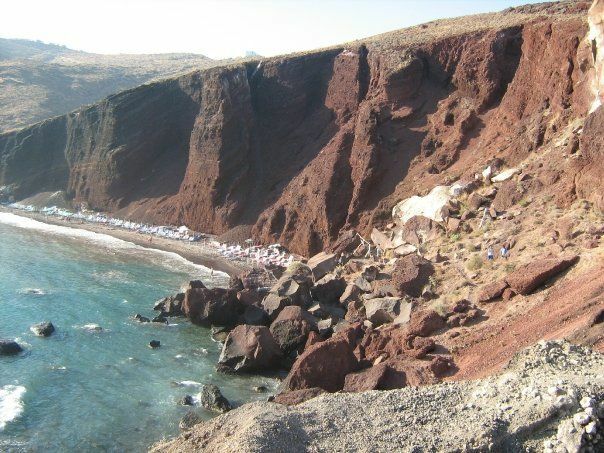 Red Beach, or Kokkini Paralia, is fittingly for its red cliffs the rise high above the sea. Oia offers a gorgeous view of the caldera by sunset. Adventure to me, means travelling with an open return ticket and dealing with the unexpected. I experienced just that during my first trip to Romania! 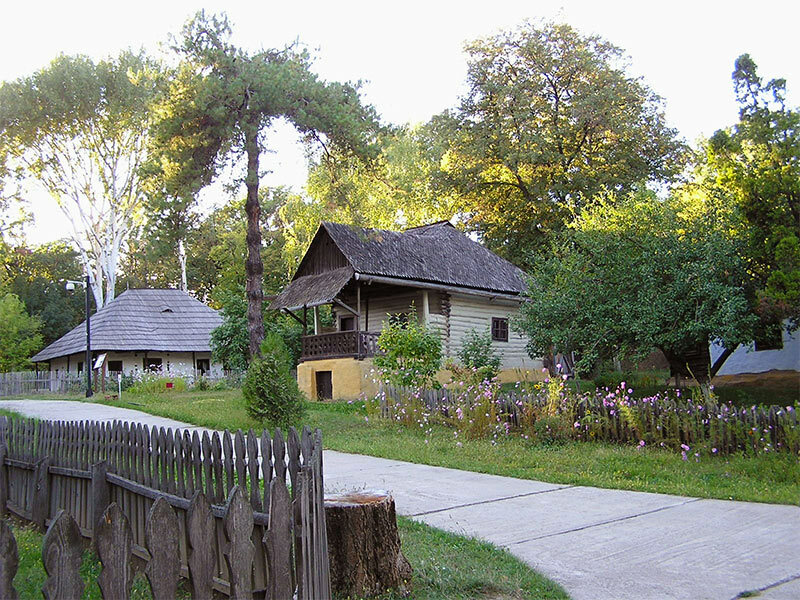 I was excited to discover Bucharest and all the historical places linked to the Romanian Revolution, but I didn’t end up seeing much after making plans to visit family instead. Little did I know, the true adventure was just about to begin. It started the day of my departure when a volcano irrupted in Iceland, affecting all flights from Europe and the Americas. My return flight to Canada was delayed for over a week! To this day, I still talk about our “volcation” and how wonderful and exciting it was to discover a beautiful city (without being interrupted) and visit all the restaurants and museums, not knowing when I would return home! I even managed to make friends at the airport who shared this special experience with me! To me, adventure is about getting out of my comfort zone, and surprising myself with what I’m capable of. In 2017, my husband and I will be embarking on an epic honeymoon road trip, and we plan to spend part of it backpacking in the Rocky Mountains. This definitely won’t be a leisurely stroll through the park! We’ll be dealing with unpredictable mountain weather, steep ascents in unfamiliar terrain, and tent camping in the remote wilderness, which includes finding and purifying our own water. Although we’re already avid hikers, this trip will push our physical limits. We chose this honeymoon because we wanted to try and survive with only what we can carry on our backs. What better place to test ourselves than a location with some of the world’s most beautiful mountain scenery? By leaving our comfort zone, we’re planning to open ourselves up to incredible new experiences, be rewarded with stunning vistas, discover what we can accomplish together, and create memories as indelible as the Rockies themselves. 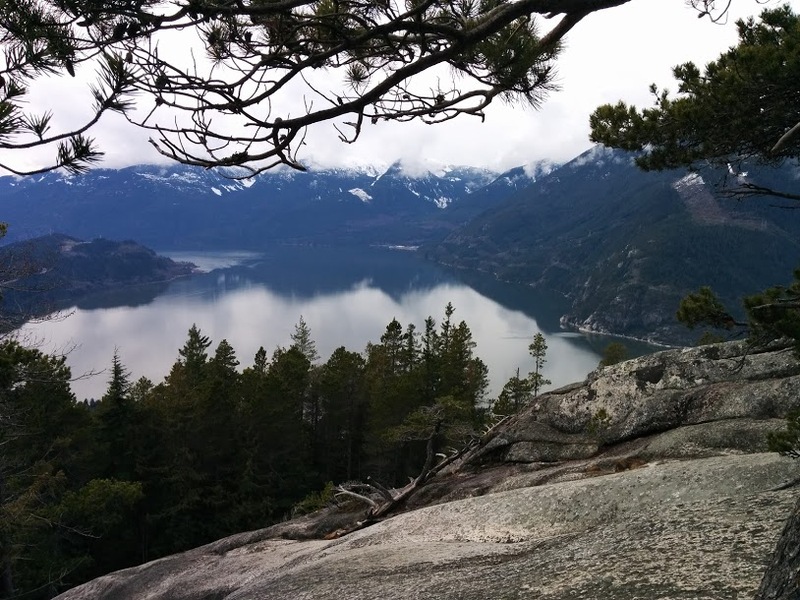 Challenging hikes lead to stunning views! As exciting as adventures are, events can sometimes go awry. Make sure you have a solid emergency medical plan to cover all the necessities. Participating in adventure sports such as backcountry skiing, downhill mountain biking, skydiving or scuba diving? Buy TuGo’s Optional Sports Coverages to ensure you’re covered no matter what adventure you get yourself into. Don’t forget that most of these endeavors are included in an add-on policy. 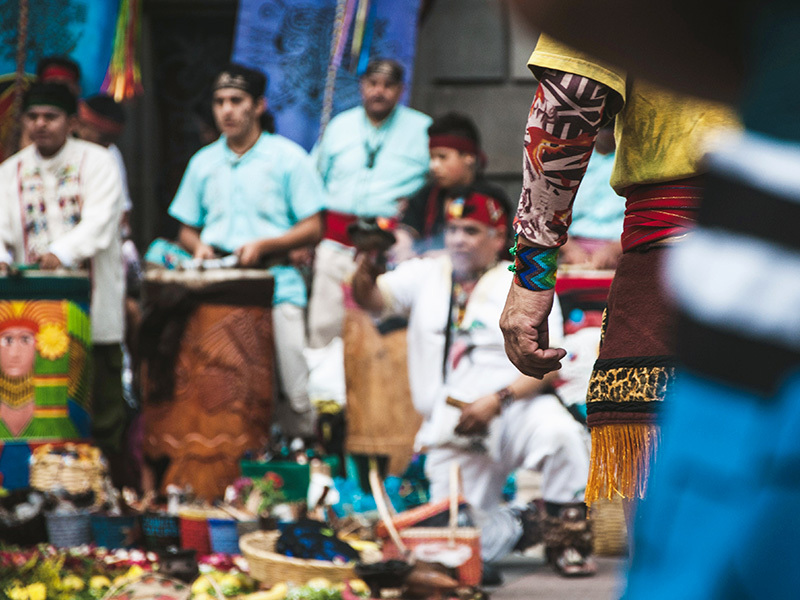 Even if these heart-pumping activities aren’t in your itinerary yet, you might spontaneously participate in one, making it even more important to be protected with travel insurance. What was your favourite adventure? Let us know in the comments below!